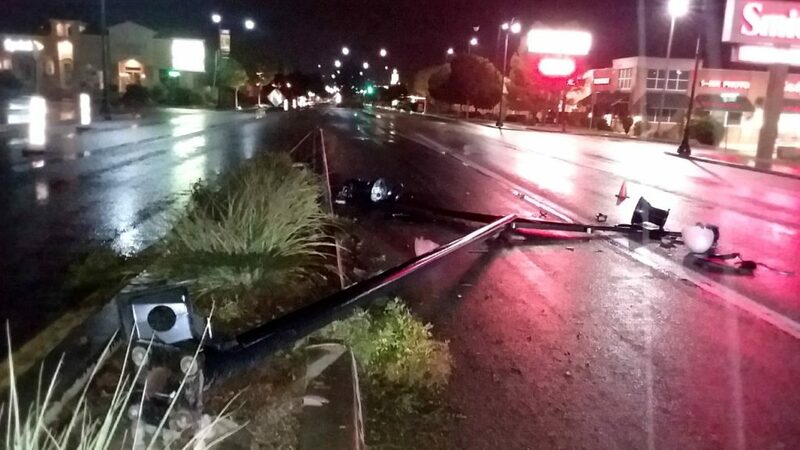 ST. GEORGE — An SUV struck a light pole on St. George Boulevard that was lying across both eastbound lanes of travel when officers responded during a heavy downpour late Wednesday night. 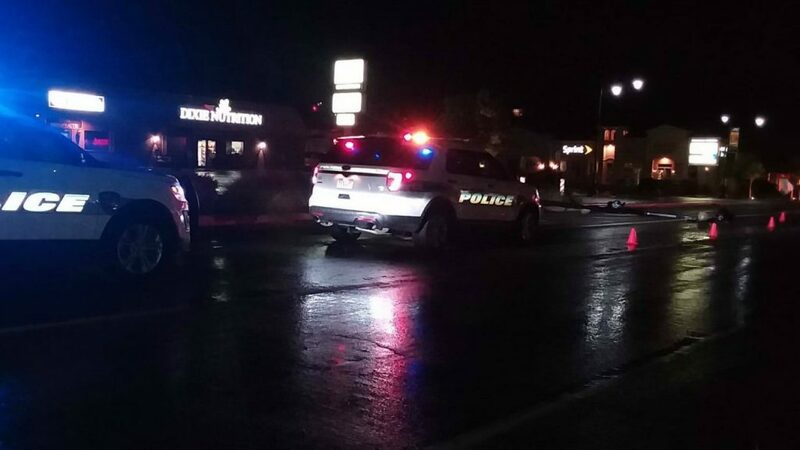 Officers responded to a single vehicle crash on St. George Boulevard just east of North Bluff Street involving a red Toyota Highlander that crashed into a light pole shortly before 10:30 p.m. The driver and several occupants inside of the SUV were waiting near the gas pumps at Smith’s Food and Drug when police arrived, St. George Police Officer David Slack said. 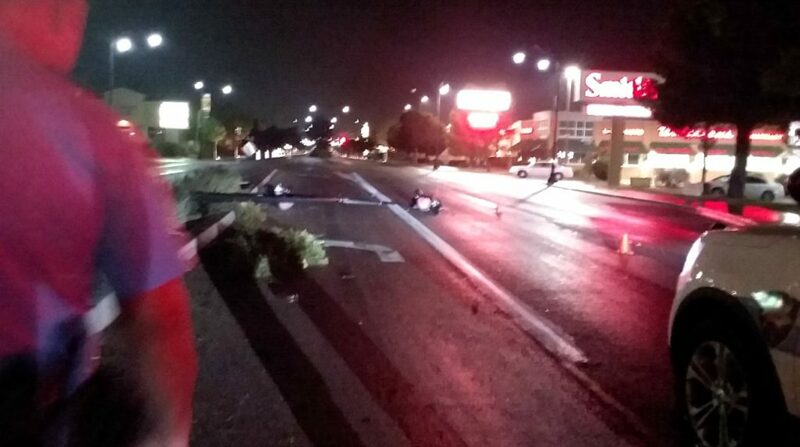 Responding officers found a large dual lamp post knocked completely away from the base and lying across both eastbound lanes of St. George Boulevard, when minutes before the light was sitting upright along the center median. The pole was constructed with a break-away design that severs at a strategic point upon impact, so the occupants inside of the SUV were left uninjured in the crash. The driver told officers that the group was heading west on St. George Boulevard, and approximately 100 feet before the traffic light the man turned left thinking he was turning onto Bluff Street heading south, not realizing the intersection was still 100 feet ahead. Instead, his vehicle jumped the median, took out some shrubbery and struck the light pole that went crashing onto the ground. The vehicle then continued across both eastbound lanes, jumped a second curb and came to rest near the gas pumps where officers found it minutes later. 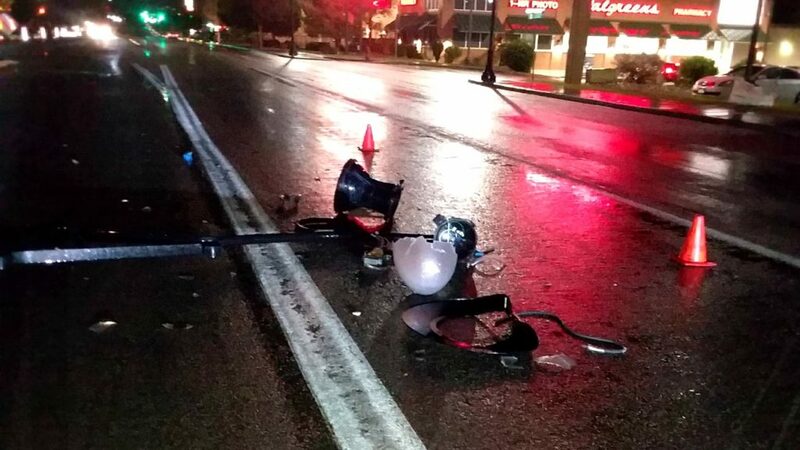 “It was pouring down rain, and the driver turned thinking he was at the light, not realizing that he had the center median right there before the SUV jumped it and knocked out the pole,” Slack said. 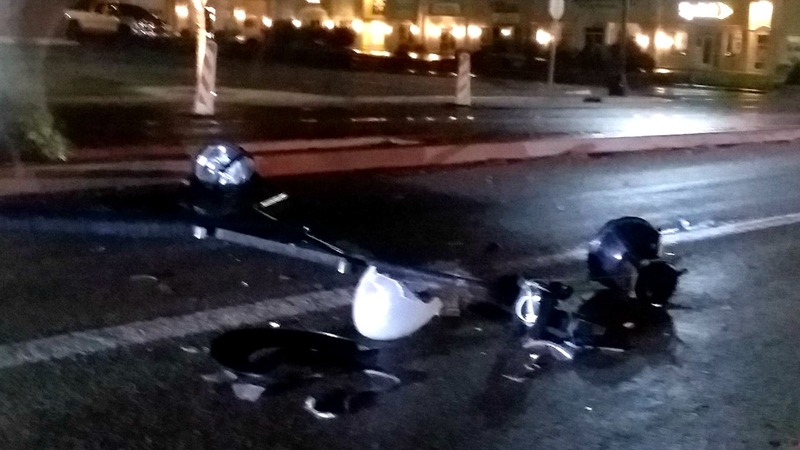 The group was visiting Southern Utah from outside of the area, and the combination of heavy rain and unfamiliarity with the area may have contributed to the crash, the officer said. The debris was removed from the roadway and light pole repairs were scheduled. I hope the pole will be ok! Predictable…. I think so. Most drivers, especially Out of State drivers are not used to driving on highways with substandard overhead roadway lighting, amateurish roadway markings that lack reflectorized paint, and Bots-Dots that enable drivers see during inclimate weather. I’ve often wondered how a LEO can testify in court and address a suspected DUI driver weaving within a traffic lane when you can barely see the lane dividers at night, especially during a heavy rainstorm. This State is so hosed up. SUV takes out light pole on St. George Boulevard during heavy rains ? This seems to happen every day, regardless of the weather.